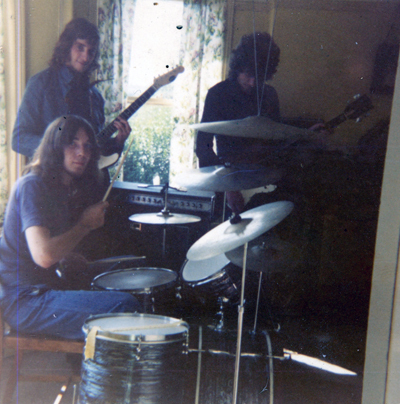 Skysteed existed around 1975 and rehearsed at my my Nan's house in Catsfield, East Sussex. Both recordings were made in my Nan's back parlour with some sections recorded in my Dad's kitchen in Hastings. They were both recorded on an ITT stereo casstette deck, Overdubs were recorded through a home made mixer. One cassette deck playing while the other recorded the mixed signals - no going back using that method. 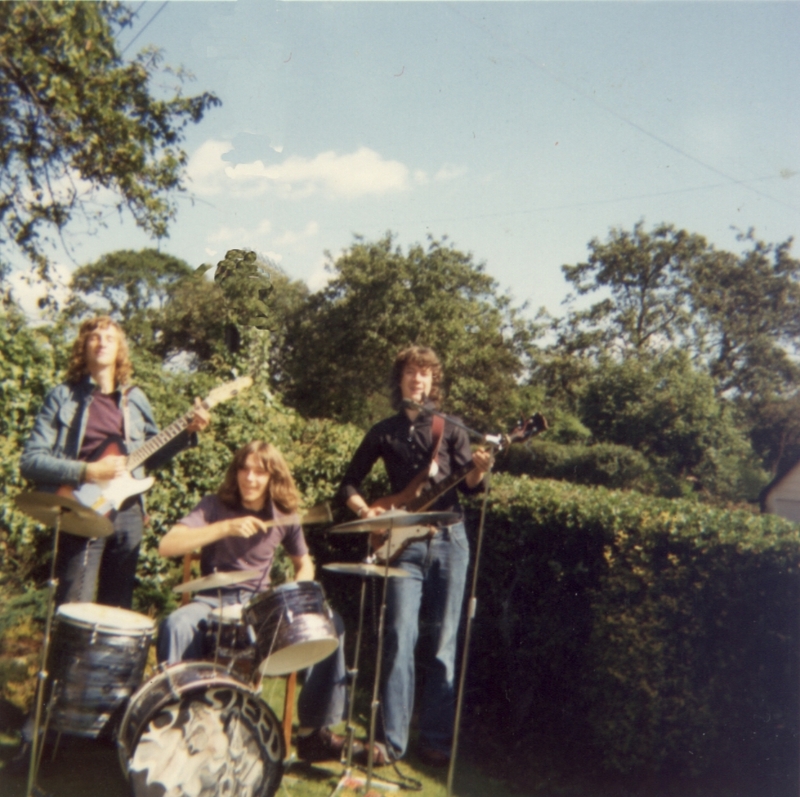 These songs were recorded in Tenterden - I remember gathering around a parafin heater to warm up between songs.